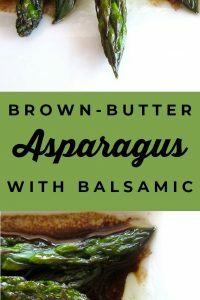 This is hands-down my FAVORITE way to eat asparagus! 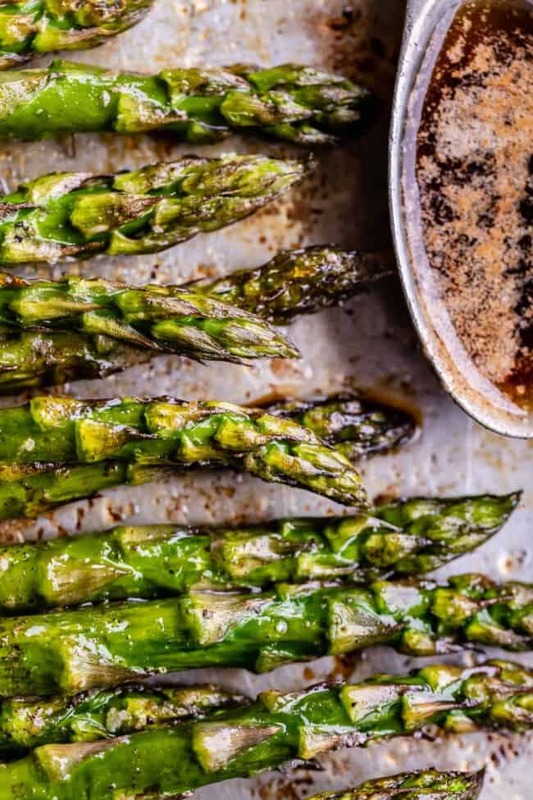 What is it about oven roasted asparagus that is so magical?? 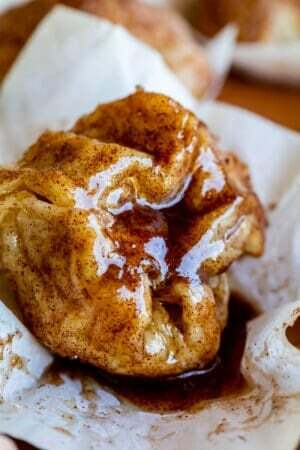 Add the Balsamic Browned Butter and you will be in heaven. This recipe takes about 15 minutes, tops. It’s SO easy and perfect for Easter or as a side dish for any weeknight. 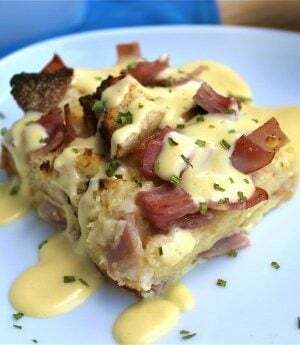 This recipe was originally published on April 6, 2012. Charlotte and I just got back from a super quick trip to Utah for the weekend to attend a session of General Conference in person! It was so much fun! Two years ago on Charlotte’s 6th birthday, we gave her a challenge to read the Book of Mormon. 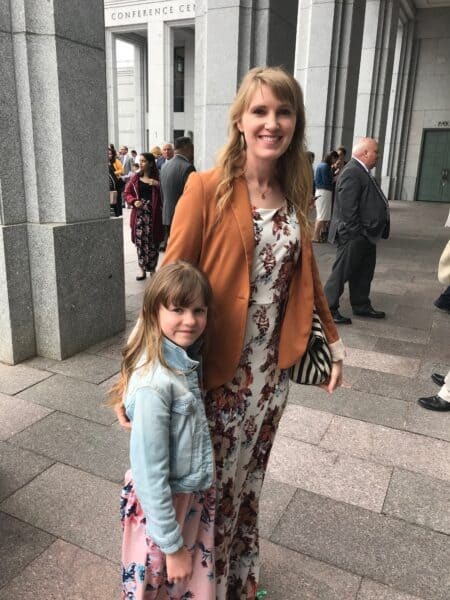 We told her that if she read it by the time she was baptized when she turned 8, then we would take her to Utah to see a session of General Conference in person. Well she made it! Which is kind of amazing, because it’s a 531 page book and is not exactly Kindergarten through 2nd grade level. She read a few pages a day and just kept plugging at it. I’m so proud of her, not only because of the habit of scripture reading that it hopefully has instilled in her, but also just for her to be able to say that she took 2 years to accomplish something and she didn’t give up. How many kids can say that when they are this age? Heck, how many adults can say that?? She’s pretty fabulous. How was everybody’s weekend? Spring has sprung here in Sacramento, which means asparagus is on sale! Have you seen it at the market yet? My grocery store had it for $2.50 a pound, which is pretty good considering that most of the year it’s $5 or more. 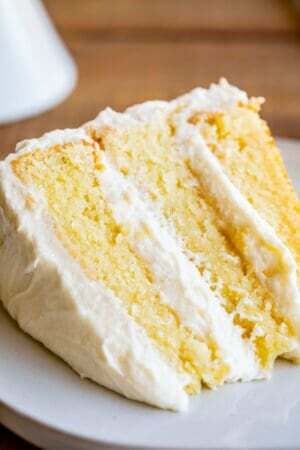 I found this recipe in a Southern Living magazine years and years ago. I published my version of the recipe here on The Food Charlatan within just a few months of starting my blog, because of course when you start a food blog you post all your favorite recipes right away. I’m updating it now with some better photos, and so that all of you lovely readers get a chance to hear about it! It’s been buried in the archives for way too long. 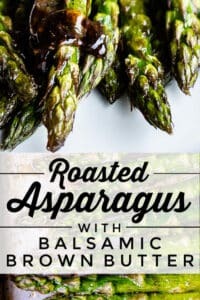 This oven roasted asparagus is the recipe that made me like asparagus. I’m not even kidding. I wouldn’t say I was overly picky as a kid, but I also wasn’t crazy, and the way that asparagus was served to me in the 1990s was just bad. So I can’t even blame my former self too much for such a grave error. 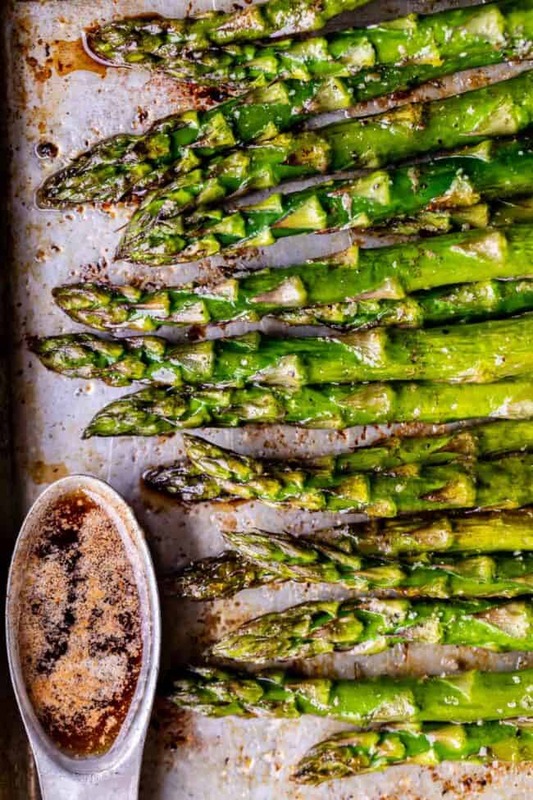 Oven roasted asparagus is pretty much the only way to go, in my opinion. (Same goes for Brussels sprouts.) 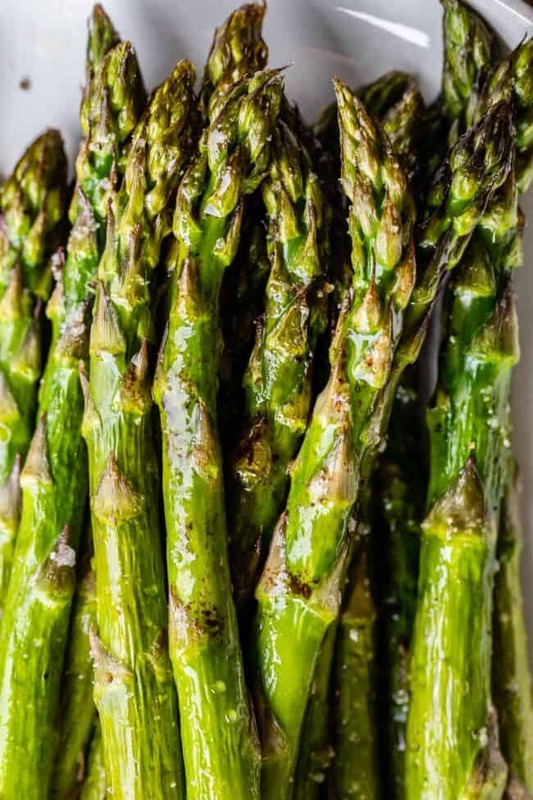 Just 10 or 12 minutes in the oven with a little salt and olive oil, and you are on your way to heavenly asparagus that is no longer bitter and bland, but tender and sweet and delicious. Here’s the original photo I took when I posted this recipe back in 2012. Not too bad, right? It’s actually one of the first photos of mine to go “viral.” Viral for me back then, anyway. 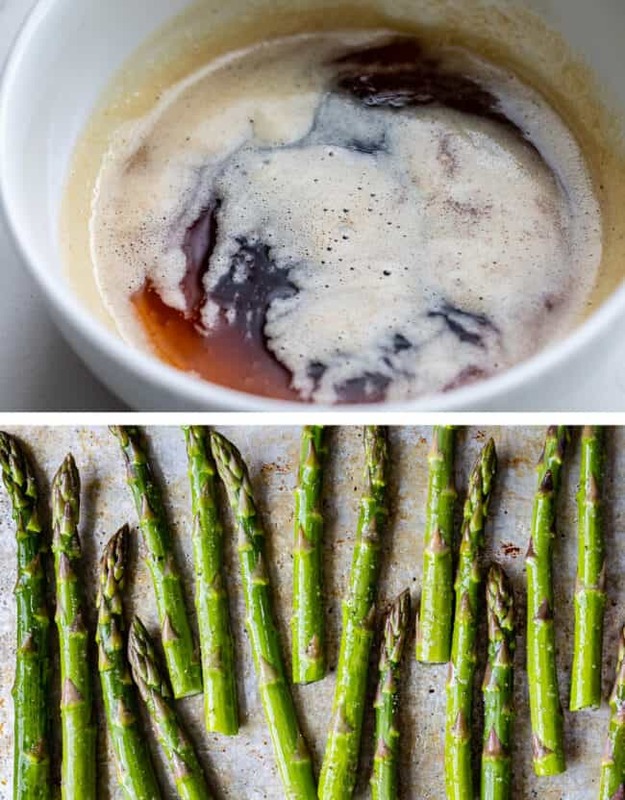 Of course my favorite asparagus recipe has to involve browned butter. I’ve often thought to myself that if I were ever to write a cookbook, a real, hold it in your hands cookbook, I might make it browned butter themed. I mean how amazing would that be, right? Stuff is liquid gold. 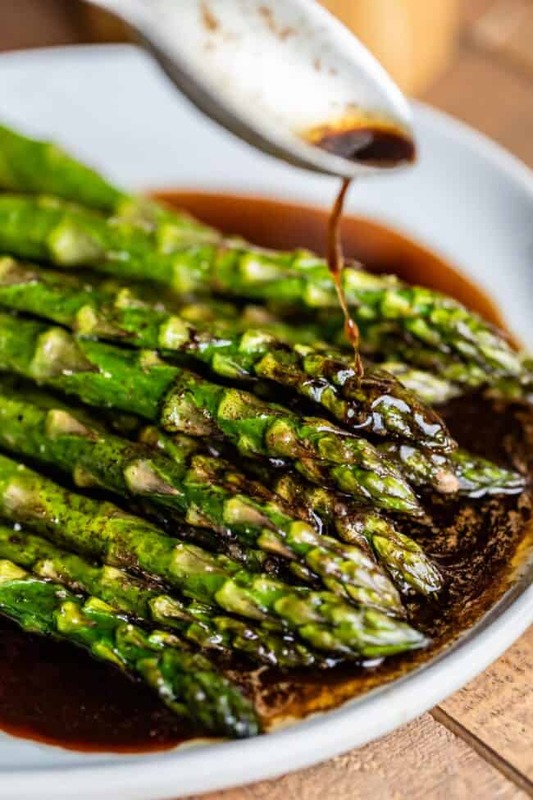 The browned butter flavor in this oven roasted asparagus is not overpowered at all by the soy sauce. In fact, you can’t really even taste the soy sauce. Just beautiful amazing balsamic-browned butter, as the title claims. The soy sauce is there to add that salty umami taste. The Balsamic vinegar, on the other hand, definitely stands out, and that’s not an apology. 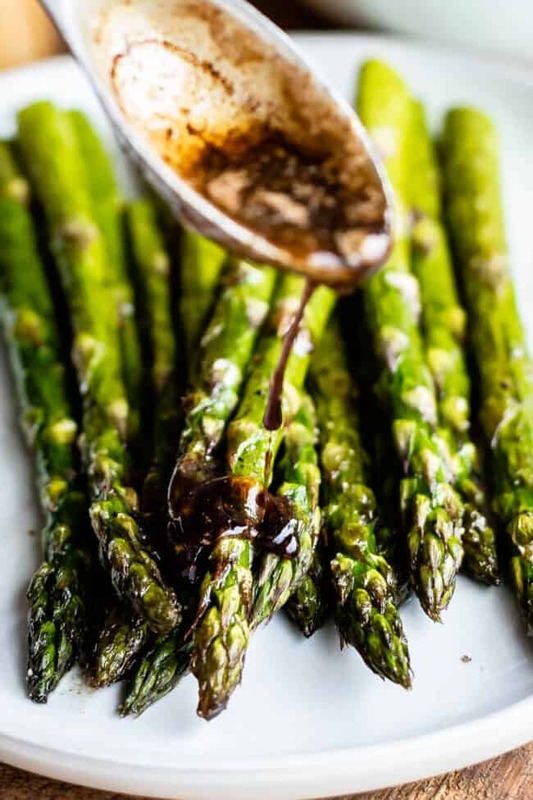 Browned butter and Balsamic vinegar should basically get married, have a thousand babies, and live happily ever after. This recipe literally takes about 15 minutes start to finish, super quick. It is a really great simple side dish for your average weeknight when you’re crunched for time. Try pairing it with 1770 House Meatloaf, Simply Amazing Grilled Chicken, or Honey Balsamic Slow Cooker Pork Ribs. If you plan to make an epic Easter meal (it’s only in a couple weeks!! ), I recommend this oven roasted asparagus recipe, Raspberry Chipotle Glazed Ham, Aunt Shirley’s Famous Creamy Mashed Potatoes, and these big fat buttery Crescent Rolls. It will be incredible and everybody will love you. Try drizzling the extra asparagus sauce over the mashed potatoes…amazing!! 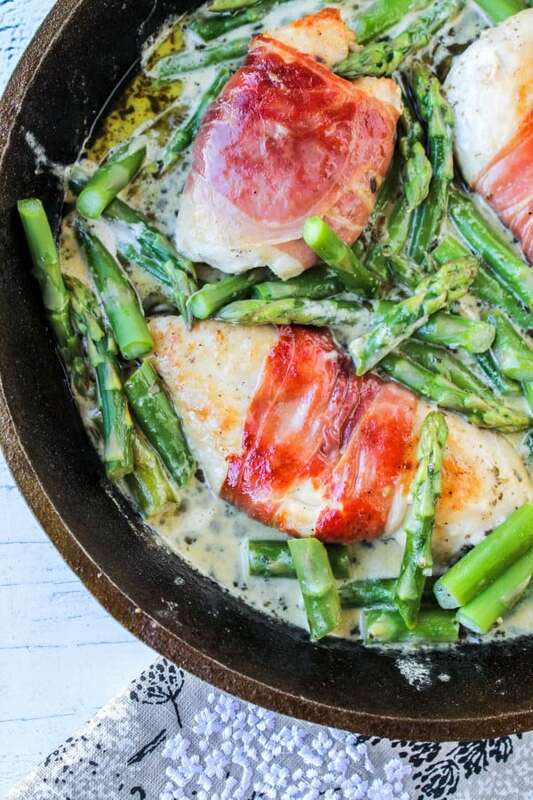 More asparagus recipes you are going to love! 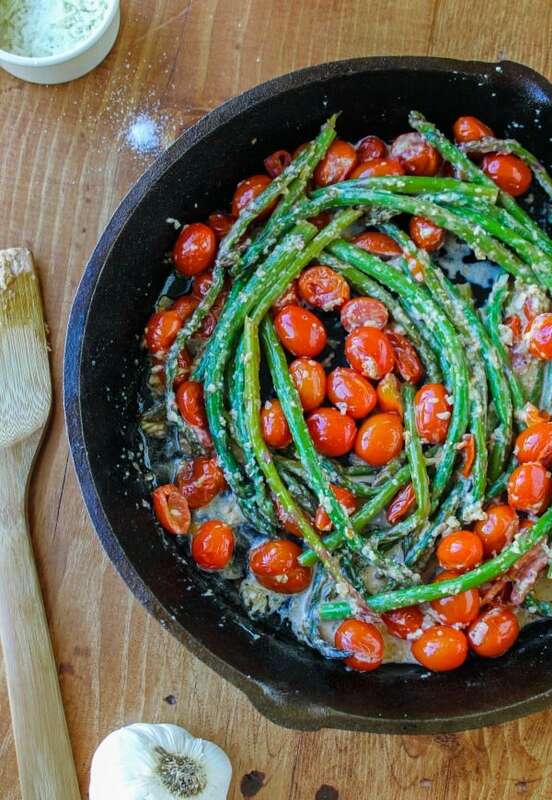 Sauteed Asparagus and Cherry Tomatoes << simple, easy, cheesy. Lemon Asparagus with Pistachios << Another good one for Easter! I tried this last night and it was so fantastic! I think I might try this sauce on potatoes or other veggies too because it’s so yummy! I was worried about it tasting too soy-ee, but it just added the right amount of salt. 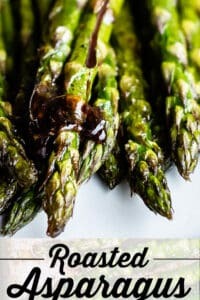 Thanks for the recipe, I won’t make asparagus any other way now! Isn’t this the best!! Yes, every time I make it I wonder why i don’t just put this sauce on everything. haha. Thanks Sara, I’m glad you liked it! I think that really is the best asparagus success story I have ever heard. This recipe has changed my life. And I never exaggerate. 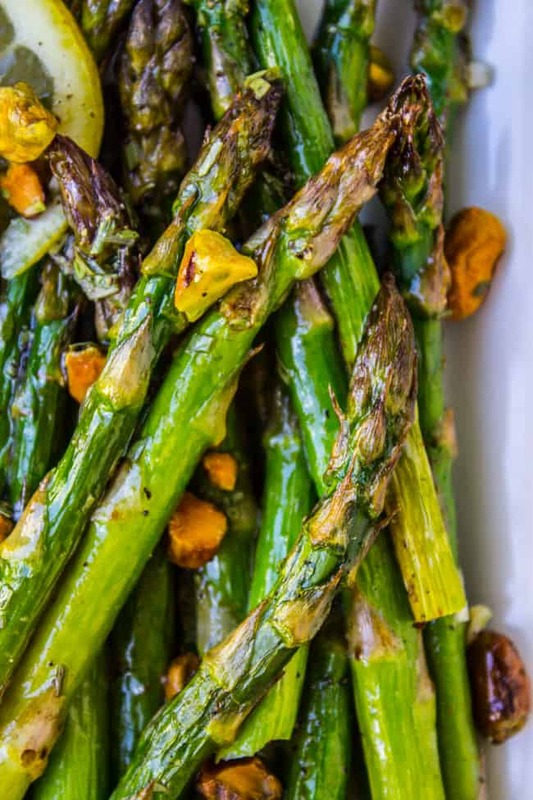 Asparagus is now the most delicious vegetable ever and one of the easiest to cook. It amazing right out of the oven, even before you do any of the browned butter business. It’s like 2 recipes in one! I think I am going to try this sauce on some other vegetables I feel lukewarm about, (cough, green beans) and see if it makes them magical too. This looks delicious. 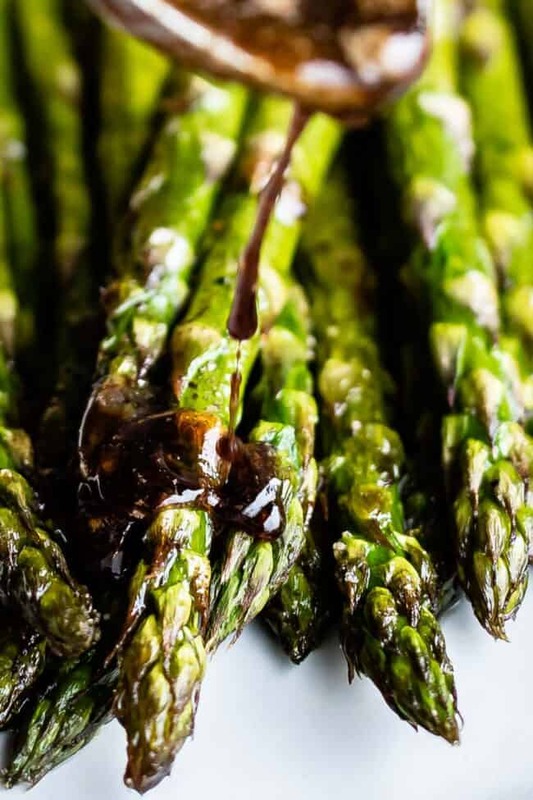 I may have to take a bath in that balsamic brown butter sauce, it looks that good. That’s a great idea. I’d join you any day. Wait did I just invite myself to your bath? Awkward.